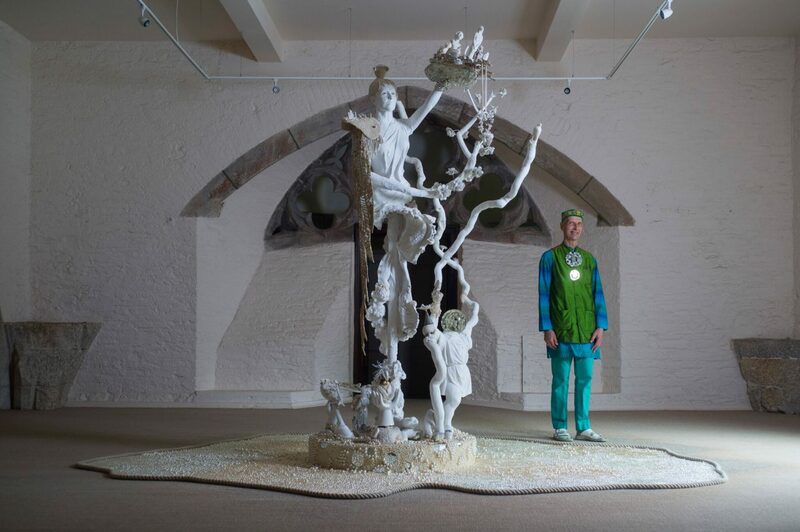 Exhibited at Buckland Abbey in 2017, Life and Oomph took 5 years for Andrew Logan to complete and is the most recent large-scale piece created at The Glasshouse in Bermondsey. 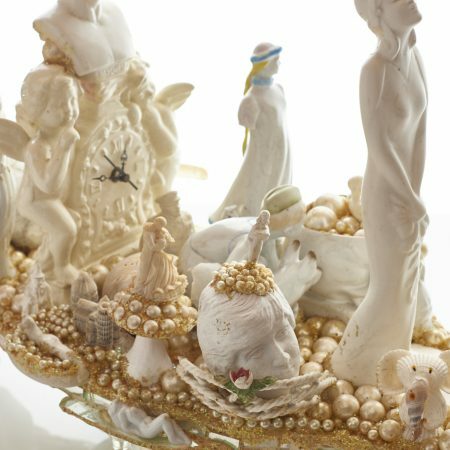 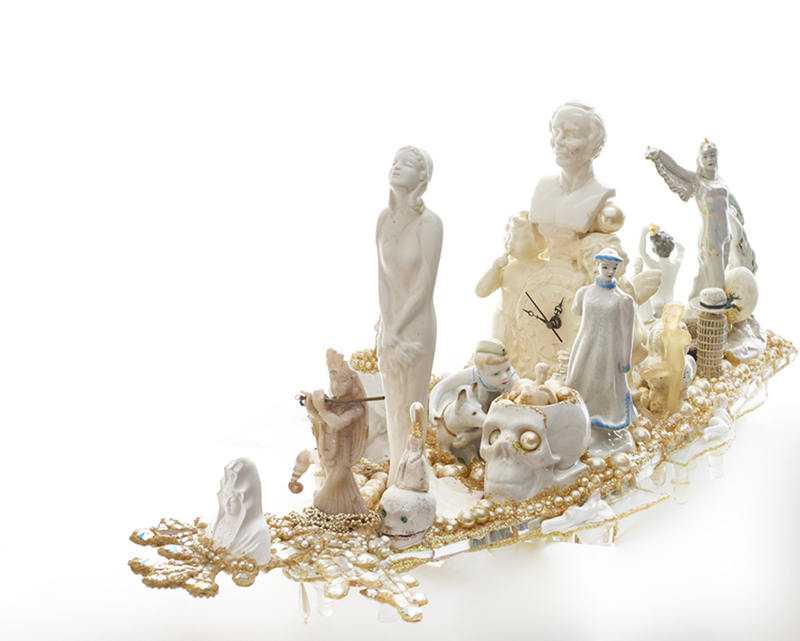 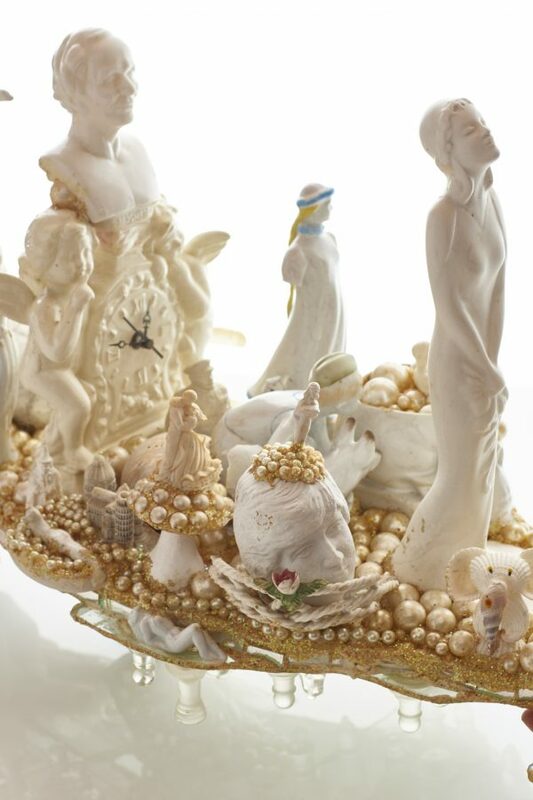 A white painted goddess soars up out of a sea of pearls, the idea of movement and depth is created through detail at all levels and the use of Lynne Seymour as the original model for the central figure. 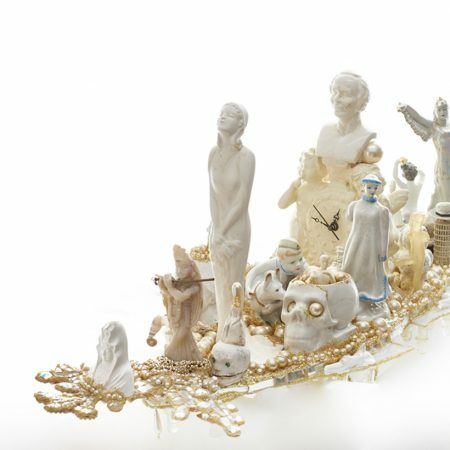 Logan has described the piece as a portrayal of ‘life’s ups and downs’.